Water tumbles down the picturesque falls on the Mash Fork Creek. The sun rises near the summit of the Piney Ridge Trail. 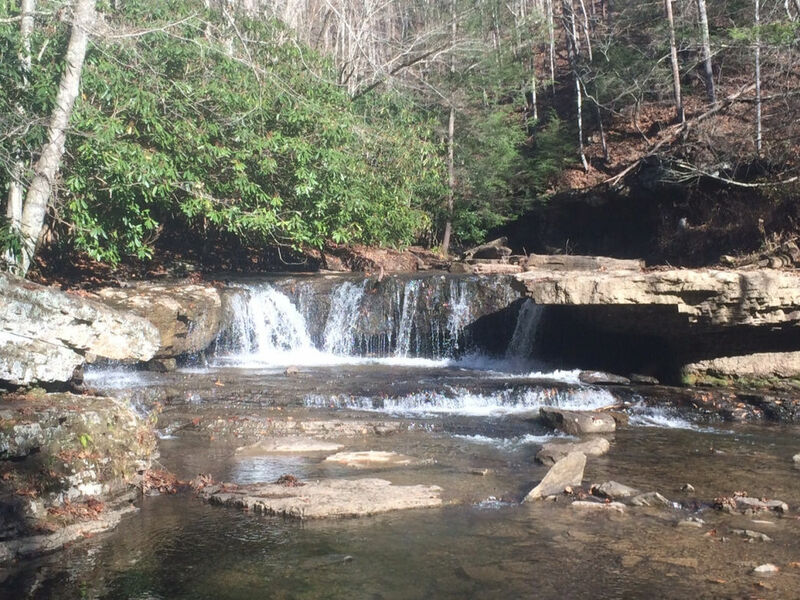 Enjoy hiking through valleys and over mountain tops to discover the spectacular waterfalls and beautiful overlooks of Camp Creek State Park. There are 6 miles of trails at the park for hikers only, and additional trails for hikers, bikers, and horseback riders. Most trails in Camp Creek State Park require lengthy climbs and have a moderate amount of exposed roots and rocks. That being said, the trails are all hard-packed dirt and alternate from singletrack to wide paths, making them possible for just about any hiker. Trails range from less than 1 mile to an 8.7-mile loop, so plan to spend anywhere from 30 minutes to 2+ hours at the park. While you can not hunt in Camp Creek State Park, it borders the much larger Camp Creek WMA, where there may be hunters in the fall and winter. If you are going to the park in fall or winter, wear blaze orange for safety. Dogs must be leashed and up to date on vaccinations. Camp Creek State Park is easily accessible, and has 35 miles of trails for hikers to enjoy. Known for its many waterfalls, Camp Creek also has a fair share of scenic overlooks, rolling hills and valleys, and views of its namesake waterway, Camp Creek. This is a spot where you are sure to find solitude among the forested hills. Camp Creek’s hikes can be challenging, but there’s a high payoff with amazing views and gorgeous waterfalls no matter which trail you take. On the 1.7-mile round-trip Piney Ridge Trail, you will hike up a series of steep switchbacks to the top of a ridge that offers sweeping views of the valley and farmsteads below. To head back down, follow the trail that cuts through a large bowl on the backside of the ridge. You’ll find yourself hiking amongst countless young pines, and maybe a wild turkey or two. The short 1-mile Mash Fork Falls Trail follows a series of wide switchbacks through thickly forested hills before ending above the the roaring falls. Keep following the trail to the gravel access road to get the best views. And that’s not the park’s only waterfall. Find another by turning left at the Blue Jay Spur Trail and following the creek upstream for just a few minutes, until the second falls come into view on the right. Hikers who love great waterfalls, scenic overlooks, and descending into deep, heavily-wooded valleys will love Camp Creek. 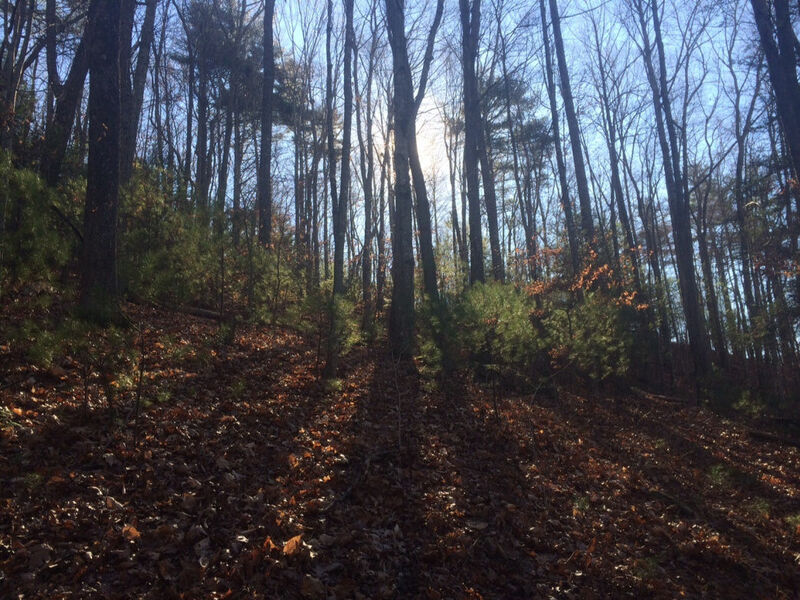 Many trails have steep sections and exposed roots and rocks, but an intermediate or even beginner hiker can handle them, making the trails suitable for any hiker. To get to Camp Creek State Park, take Exit 20 off of I-77. Turn right off of the exit ramp and then take your first right. Continue straight for less than 2 miles. There is plenty of parking, and no entry fee.